Looking to create a custom MailerLite signup form in WordPress? With WPForms, you don’t have to touch a single line of code to create and embed a beautiful MailerLite signup form. You can create it easily with our drag and drop builder and customize it per your needs. 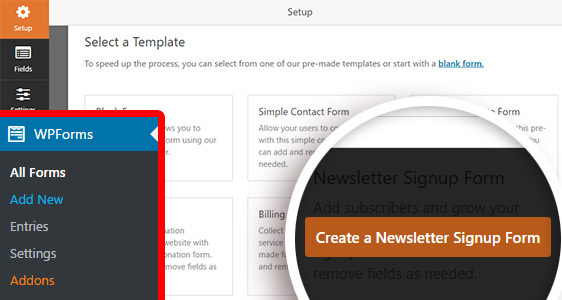 In this article, we’ll show you how to create a custom MailerLite signup form in WordPress. 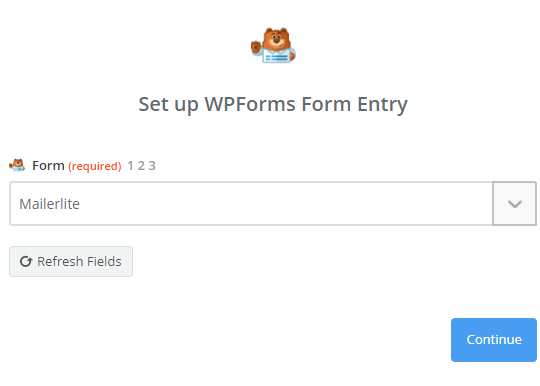 The first thing you need to do is to install and activate the WPForms plugin. Here’s a step by step guide on how to install a WordPress plugin. After the installation, you’ll need to create a form. While creating a form, you might want to choose Newsletter Signup Form as your template for convenience. Let’s rename the form as MailerLite for the sake of this example. For more detailed steps, see our tutorial on creating a simple form in WPForms. 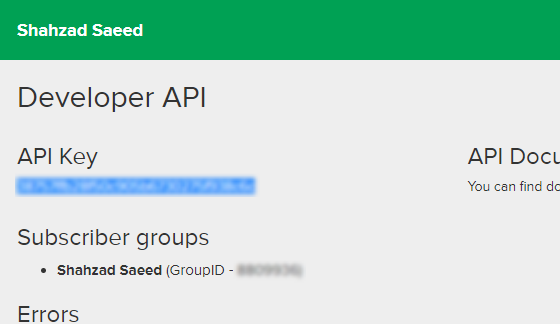 In order to import contacts into your MailerLite account from your form, you’ll need to install and activate Zapier addon on your site. The Zapier addon lets you connect your WordPress forms to over 500+ web apps, including the MailerLite app. For more help with this step, you can check out our tutorial on how to install and use the Zapier addon. Now let’s take a look at how to connect WordPress forms to MailerLite. Login to your Zapier account and click the Make a Zap button in the top navigation. Then, follow Zapier’s step by step guide to create a Zap. 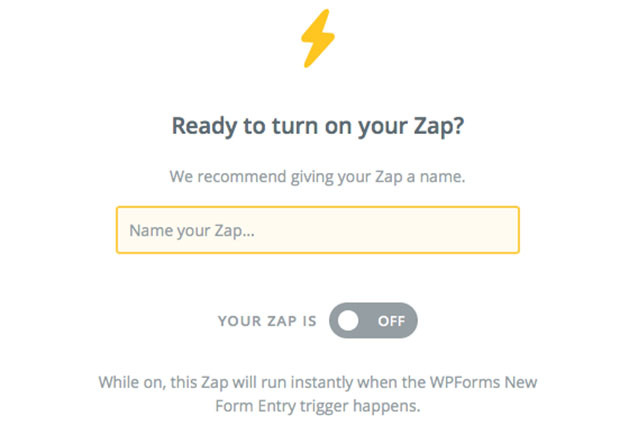 To see screenshots of every step, you can refer to our tutorial on using Zapier with WPForms. Make sure to choose the MailerLite form you just created, when you’re asked to setup Edit Options. You must have at least one test entry on your form before fetching existing entries. You should then see a successful confirmation message. Now that you’ve connected Zapier to WPForms plugin, it’s the time to connect WPForms to MailerLite. 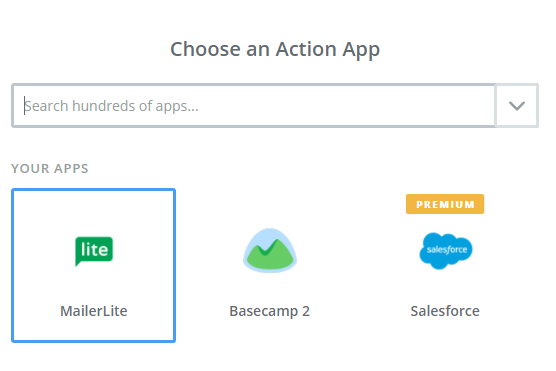 The first step is to choose MailerLite as the action app. If you haven’t used the MailerLite app on Zapier previously, you may need to use the search bar to find the MailerLite app. Then, you’ll be asked to select MailerLite action. 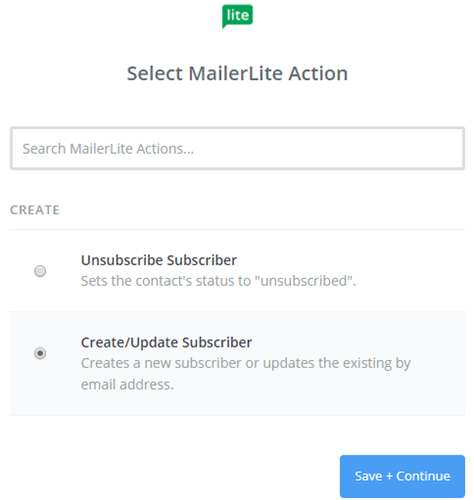 As we’re looking to add a new subscriber to your MailerLite list, let’s choose Create/Update Subscriber and click Continue. Now you need to connect your MailerLite account to Zapier. 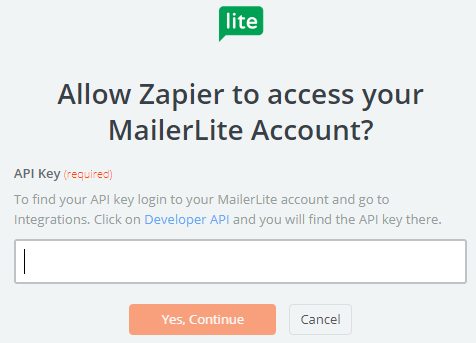 To do this, you’ll need to authorize Zapier to access your MailerLite data. Go to this page and find your API key on the top left-hand side. Copy and paste it into Zapier to provide access to your MailerLite account. Click Yes, Continue and then click Save + Continue. Now you’ll be asked to set up MailerLite subscriber. In this step, you’ll need to connect each contact form field to the appropriate MailerLite field. 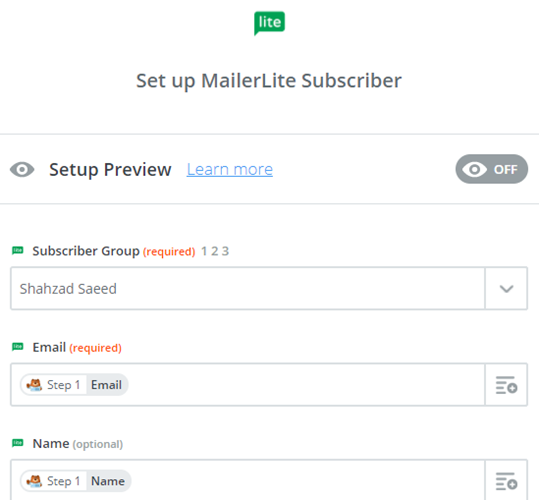 Also, make sure to choose the right subscriber group or email list from your MailerLite account. Then click Continue. If you want to test whether your Zapier connection is working, click on Test. You can now see what data is being updated in MailerLite. Click Create & Continue. To verify the data in your MailerLite account, click the Subscribers tab. If everything was configured correctly, you can find the right data in your list. You’ve just tested the MailerLite app on Zapier successfully. In the final step, make sure to turn on your Zap. You can also give your Zap an appropriate name. By turning on Zap, you can automatically send contacts to your MailerLite account whenever your visitors submit the form on your site. That’s it! 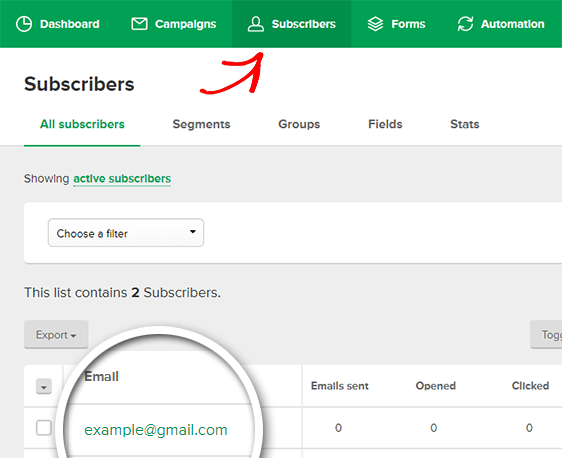 Now anytime someone fills out your form, they will be added as a subscriber in your MailerLite database, so you can keep in touch with email marketing. Want to get more value from your client forms? Check out these web form hacks to unlock hidden customer data. Just discovered your blog, and I’m in LOVE with it! Amazing layout an content. Love your style, you rock!! Thanks a million and please carry on the rewarding work. I think this is engaging and eye-opening material. Thank you so much for caring about your content and your readers.